(Seychelles News Agency) - Cloudy skies forced residents and visitors in Seychelles to wait but those patient enough were able to eventually catch site of the so-called supermoon Monday evening. A supermoon is when the moon gets especially close to earth and therefore becomes especially big and bright, an occurrence which also contributes to high tides. Seychellois astronomer Jacques Isnard on Tuesday told SNA said that the supermoon could be viewed for a good two and a half hours starting at 9.30 p.m. after the skies cleared up a bit. Isnard said he was joined by two guests at the Coral strand Hotel, at Beau Vallon, in the north of Mahe, the main island where he has his observatory. While the difference in size and brightness of the so-called supermoon may not be that noticeable with the naked eye, for Seychellois astronomers watching through his telescope he said the difference was evident, adding that details on the moon were more visible as it was closer..
“I used the same set of optical lenses to compare the size of the moon and the normal circumstance throughout the year and from the results obtained the supermoon did fill a larger space in the aperture [angle of view] of the telescope,” Isnard told SNA. Isnard said that the November 14 supermoon coincided with a full moon, adding that it will be now a gradual process for the moon to diminish in size as it moves away from the earth. 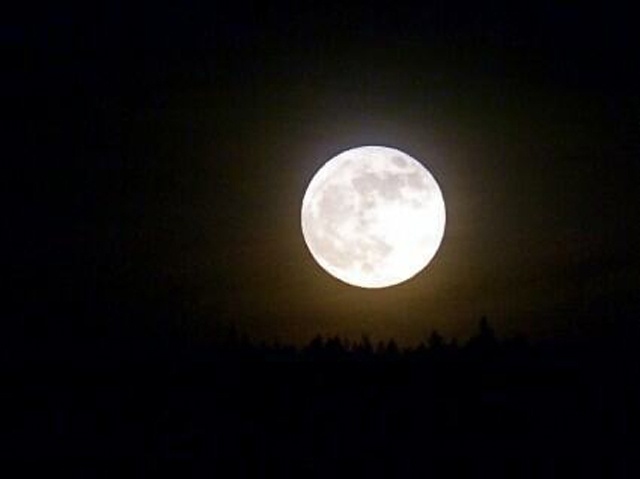 The so-called supermoon is a rare phenomenon that occurs when a full moon passes closest to the earth. According to NASA’s official website, the November 14 supermoon was to be “especially ‘super’ because it’s the closest full moon to Earth since 1948. Sky watchers in several parts of the earth were watching out for the event. “It does look significantly larger. We had quite a bit of onlookers with video cameras filming [and] kids were quite impressed by it too,” Doug told SNA through a Facebook chat on Monday. For those who may not have witnessed the rare occurrence, 2016 is offering another opportunity as another supermoon is scheduled to appear on December 14 – the third one this year according to NASA. The next supermoon is expected in 2034.